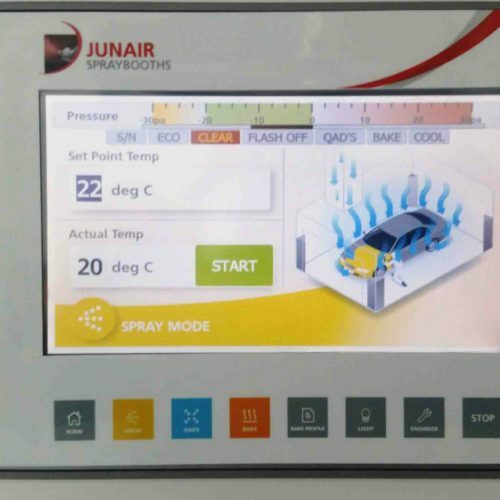 Following customer feedback and extensive research and development Junair have developed the iSystem³, a programmable logic controller (PLC), designed by Junairs in house Controls Department. 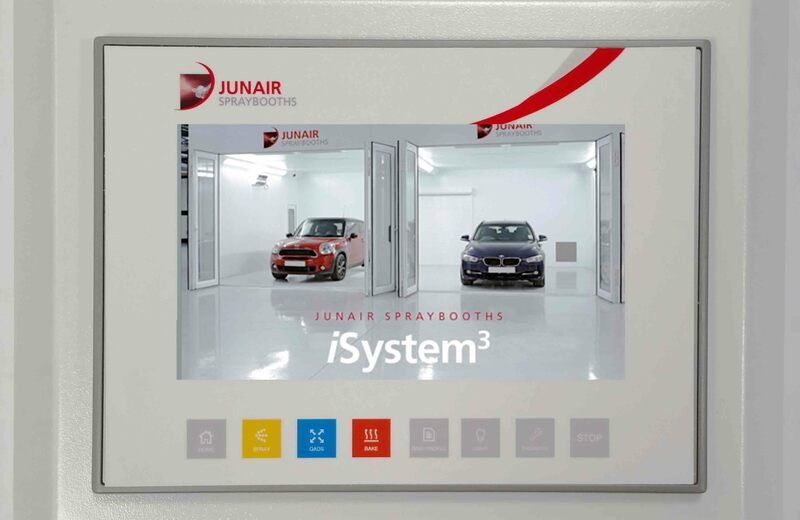 The iSystem³ has been designed with operators in mind, offering the same precision control associated with Junair systems whilst also benefitting from an intuitive, user friendly menu system. 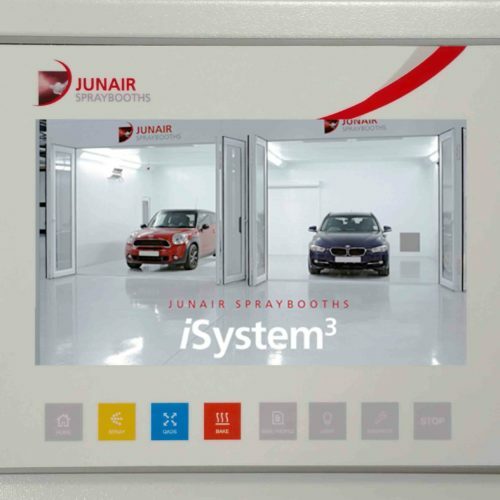 iSystem³ boasts a touch screen display and a colour coordinated easy navigable system. 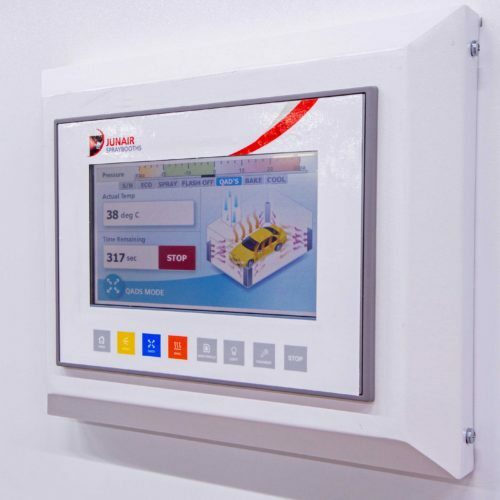 Its ergonomic touch button controls allow the operator to activate the lights, stop the spraybooth or adjust the bake profiles. 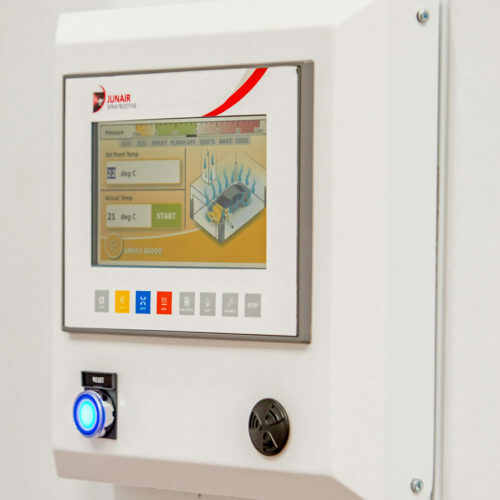 Ensure that jobs aren’t over or under cured using the pre-programmed bake cycles, saving time and energy whilst delivering consistently superb results. 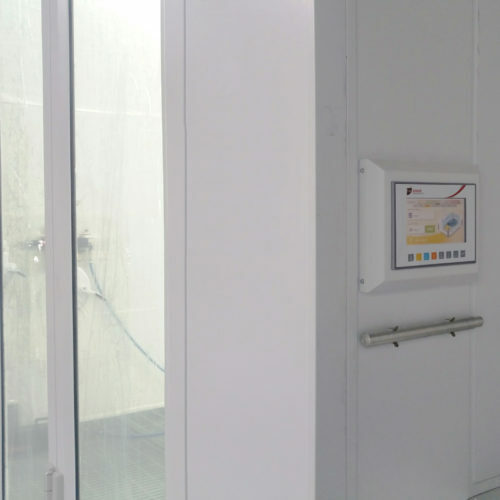 The PLC automatically runs the most efficient cure profile to suit the product. 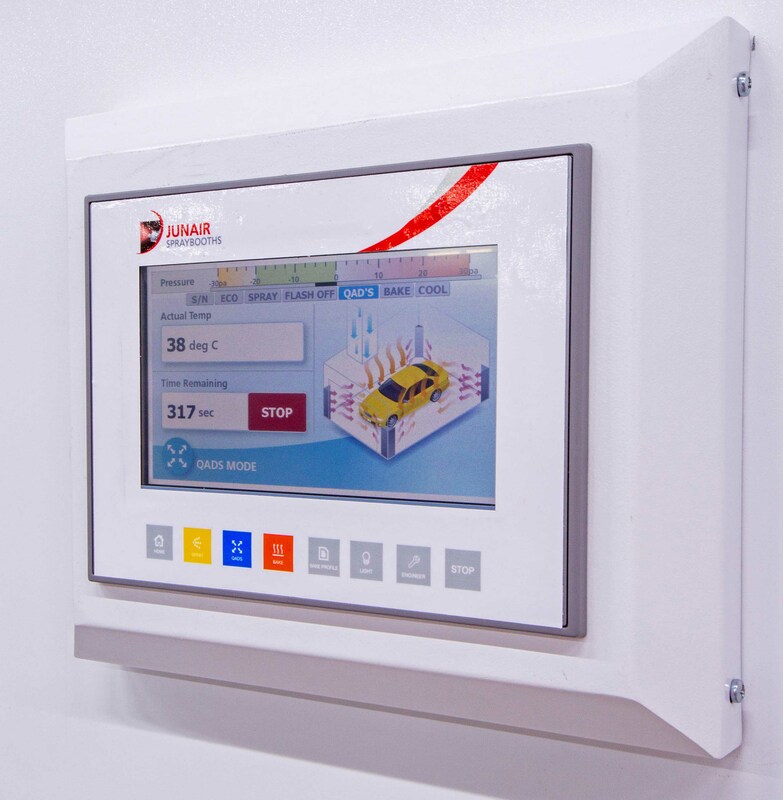 The Bake profile screens allow the bake profiles to be altered to suit the most demanding of modern paints. The optional Eco Mode reduces the input and extract motors to a pre-set speed. 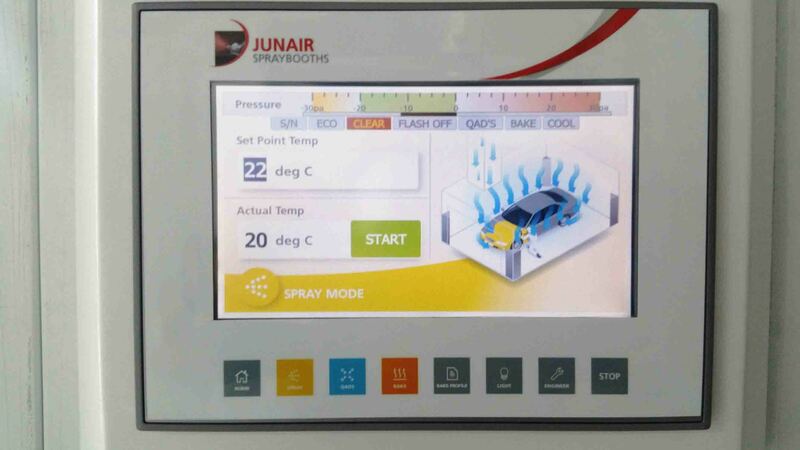 The burner is turned on and off at pre-set temperatures. 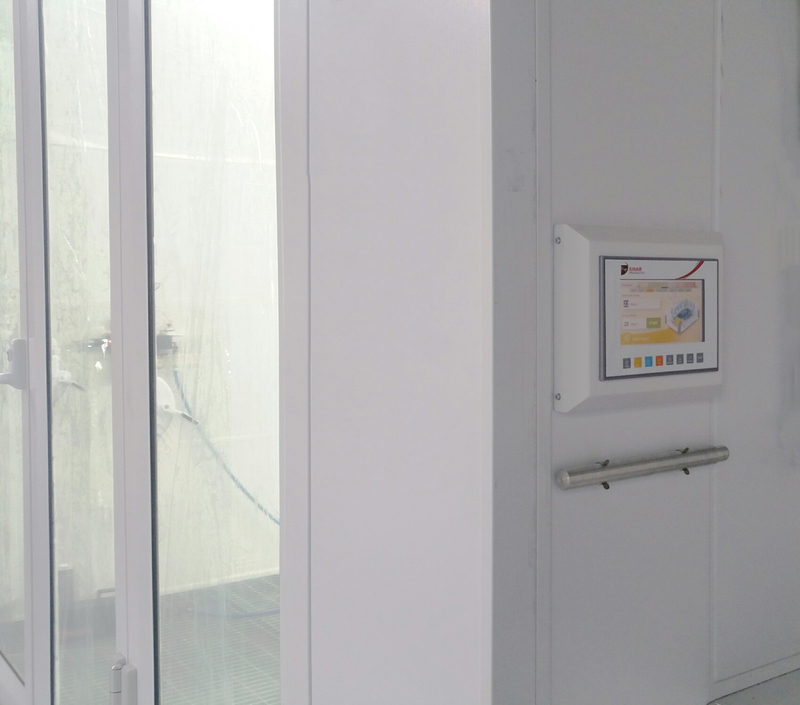 The damper enters recirculation mode opening at intervals to allow fresh air into the spray booth. 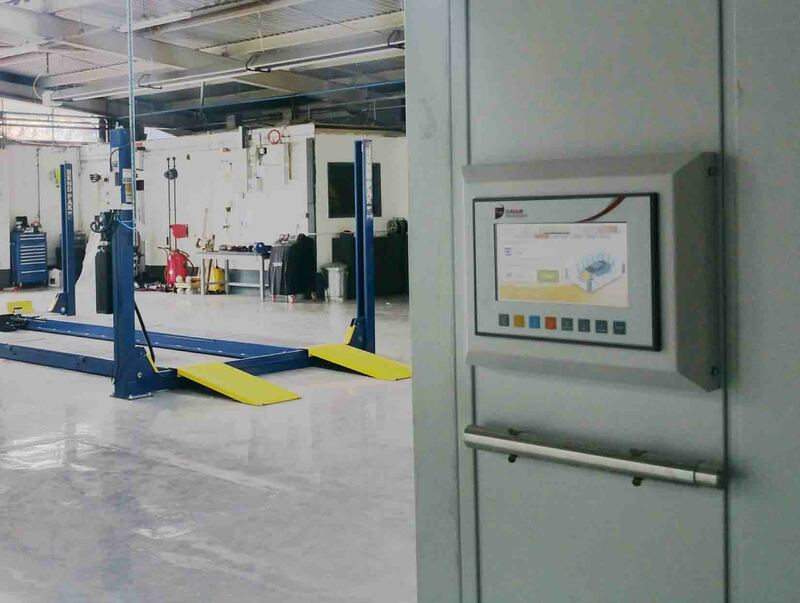 The system diagnostics ensure that faults are identified and can be acted upon efficiently and quickly. 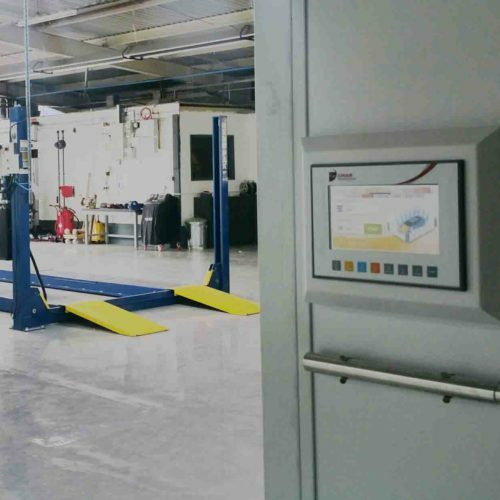 Optional remote diagnostics allow faults to be sent electronically and diagnosed effectively. 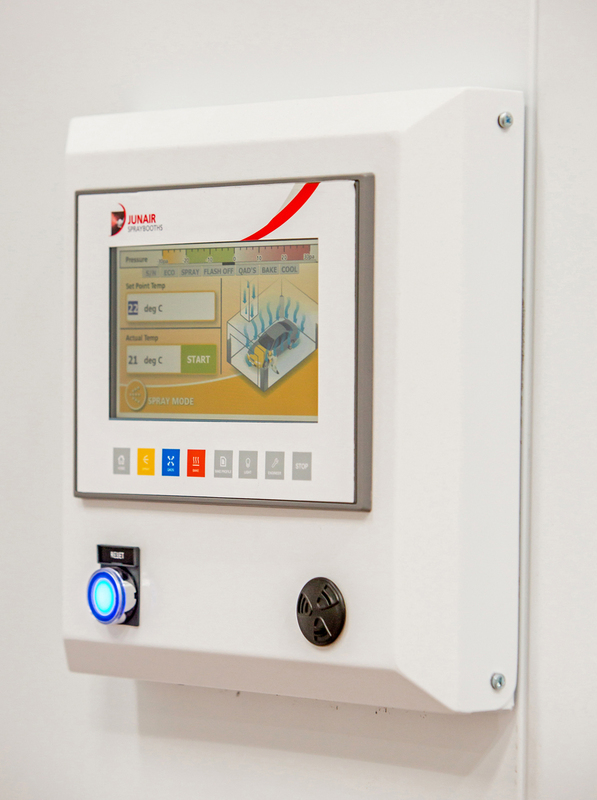 iSystem³ uses the latest Siemens technology, ensuring you have the most reliable product possible. The software automatically balances the air pressure in the cabin, ensuring the airflow is always at the optimum level. The latest safety legislation has been taken into consideration ensuring your systems are fully up to date.